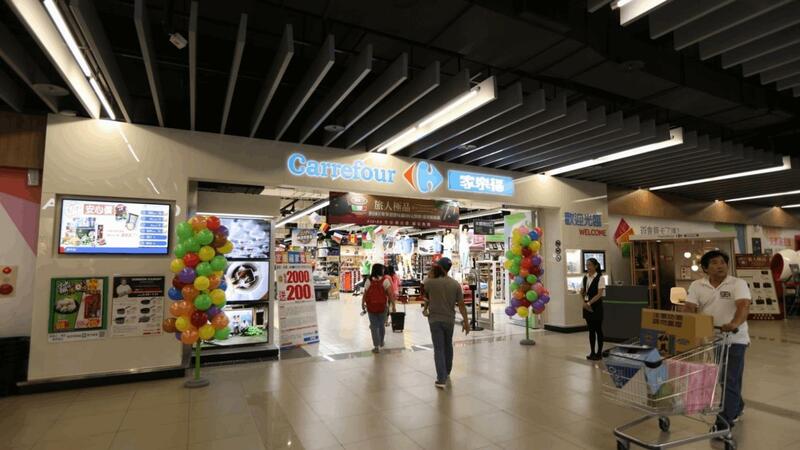 When most supermarket chains were facing a downtrend of their annual sales revenue, Carrefour Taiwan bagged a 10% growth rate in annual sales revenue in 2016, and becoming Top 5 in the region on Carrefour’s global list. The Carrefour Taiwan team is always thinking about customers: how do we improve service quality? How do we achieve zero-customer-complaints in each store? How do we help shoppers enjoy every moment in Carrefour Taiwan stores? Carrefour Taiwan came to Advantech and told us, their priority in making each strategical decision is all about customers. Seeing the global retail industry is revolving, Carrefour Taiwan knew they had to go further and lead customers beyond traditional retailing. “The core is to deliver better service to our customers,” said Rami Baitiéh, the CEO of Carrefour Taiwan during his first visit to Advantech’s Linkou IoT campus. This is the starting point where we began to discuss with the Carrefour Taiwan team how to create real value for shoppers who shop in large supermarkets.